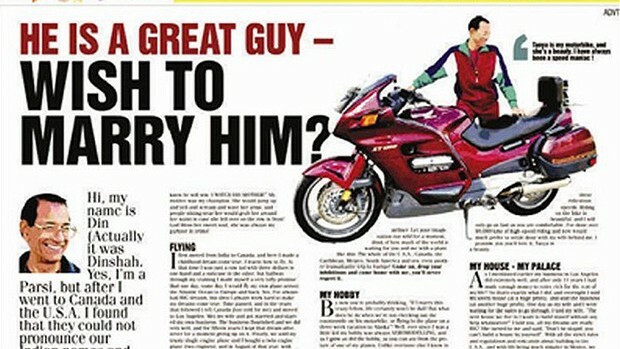 A full-page ad placed in The Times of India by an Indian multi-millionaire seeking a new wife has caused some reaction in the media, ranging from guffawing to head-scratching. ‘You must speak English and have done your basic schooling. I don’t care how much money you have or don’t have … you should have a sense of adventure and the desire to live an exciting life. [You should] be no older than 40 and slim. And please don’t be a vegetarian. Now if you’re reading this and scoffing, don’t worry – I’m right there with you. But if you’re reading this and are surprised at the superficiality of his demands, I can’t relate. 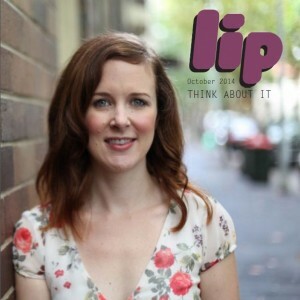 As an Indian-Australian, I have grown up with arranged marriages as the norm, and Indian relationship culture is very much pegged to the superficial – and when you’re expected to negotiate marriage like you would a business arrangement, how could it be otherwise? On one level, Vimadalal’s ad is fairly understandable – I mean, he’s a rich dude looking for a wife and he has particular desires. Sugar-daddies everywhere have leveraged off their wealth to find attractive younger partners in all cultures, and probably will continue to do so well into the future. No surprises there. And in the scheme of Indian marriage ads, this one is only remarkable in that he is rich and a fair bit older than the average would-be bridegroom. His emphasis on appearance and wealth is completely normal, though. Where Western news outlets seem to find it both bizarre and amusing that Vimadalal has no issue with spelling out his desire for a slim-bottomed wife, my issue with the ad lies in the fact that it is really very standard in the Indian marriage market. The superficiality of the arranged marriage sphere is something I have experienced firsthand, having been to quite a few Indian weddings in my time. The emphasis is always on looks and cultural capital (e.g. degrees, wealth or reputation). Rarely does personality come into the equation, and when it comes to women, looks are basically everything. Because interaction between the potential bride and groom is generally limited, and most of the negotiation around marriage takes place between their respective parents, the physical becomes more important because it is the main aspect of each other that they are aware of. It is hard to judge someone on their personality when you’re rarely allowed to speak unsupervised, but you can spend hours daydreaming about their lustrous black hair or muscular arms without any real hindrance. Although the high appearance standards are applied to both genders to an extent, women are placed under far more scrutiny than men. Slim figures, fair skin, and pretty faces are considered incredibly important, whereas I’ve been to many a wedding where the bridegroom is a little overweight or outside what is considered conventionally attractive, and this ‘lack’ is made up for in other capital – like coming from a good family, or having a well-paid job. This superficiality is problematic, for both obvious reasons and more insidious ones. Obviously, valuing your potential partner on looks alone, and having no clear relationship with them prior to getting married is a bit of an issue. But more than that, the lack of real interaction leads to unrealistic expectations – the void created by no real contact is filled by fantasy and assumptions about the other person, and is likely to result in some degree of disappointment. Many of the people I know in arranged marriages are very happy, but I am aware that I can only see in from the outside. People often cite that the divorce rate in arranged marriages is much lower than for ‘love’ matches in Western cultures (1.1 % vs approximately 50% in the US) – but statistics don’t occur in a vacuum, and the fact that divorce is incredibly taboo in Indian culture is likely to have something to do with it. I hope that Dinshah Vimadalal finds what he’s looking for, but I can’t help but wonder if arranged marriages and advertising is really the path to true love. This entry was posted in Culture, Life, Opinion, World and tagged advertising, arranged marriage, love, relationships. Bookmark the permalink.